Automations is part of Ascend by Wix, your all-in-one business solution. Have a Wix Art Store? Now you can accept credit/debit cards with Wix as your payment provider. To prevent confusion, the subscribe button has been removed. Previously, the subscribe button functioned as a way for your users to get your RSS feeds. This created a little confusion for those who expected to subscribe up to the podcast. Using Paid Plans? Email is no longer a mandatory field for PayPal, Mecado Pago, PagoSeguro and Yandex. This means customers will not have to enter their email to start entering their payment details. 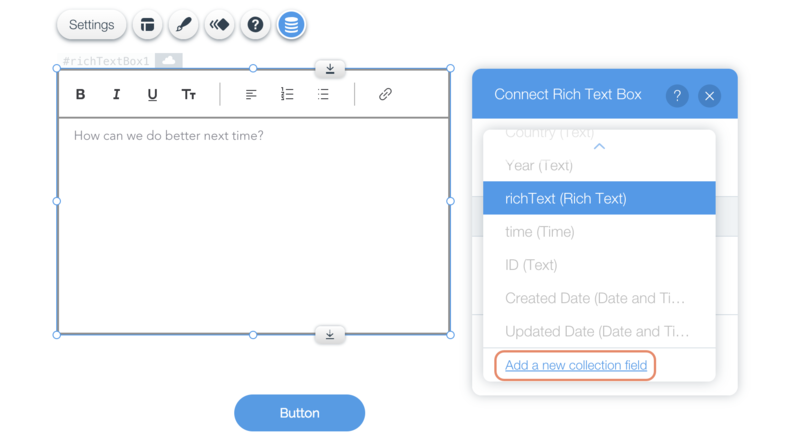 When you're connecting an element, you can now add a new field to your database collection. This new field is automatically connected to the page element.